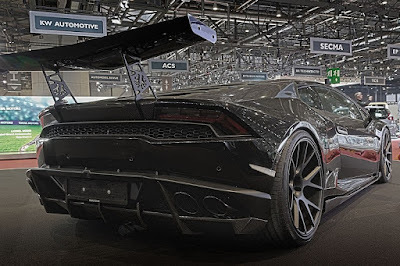 Among the rows of Lamborghini supercar on display at the Geneva Motor Show 2016, one of them has a quite unique name, that is Lamborghini Huracan Jeddah Edition. The supercar is exhibited by DMC, a renowned German tuning firm with more sporty appearance than the standard version..
Lamborghini Jeddah Edition constructed using the base of Lamborghini Huracan. It did not say what the purpose of the car's name that similar with the city in Saudi Arabia. 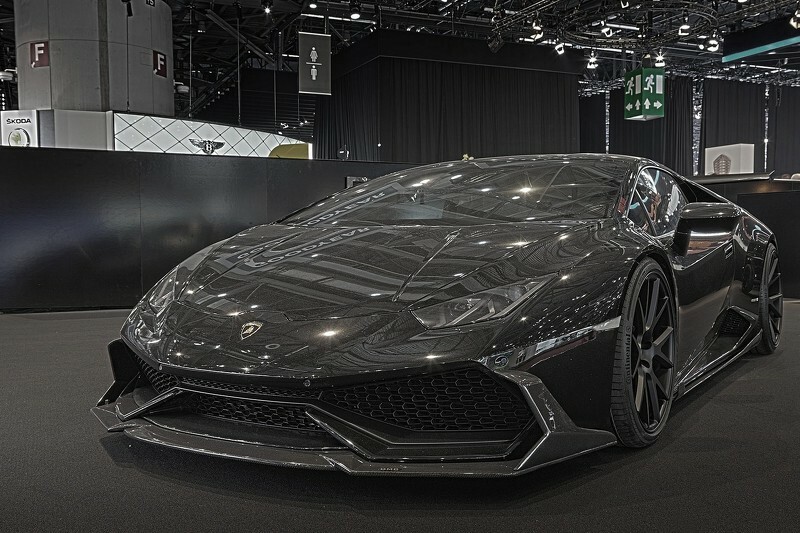 With a distinctive and unique design of the supercar has been the center of attention of the visitors at the auto exhibition. It is visible from all body parts replaced with components from more carbon fiber that includes a new front splitter with vertical fins at the sides. 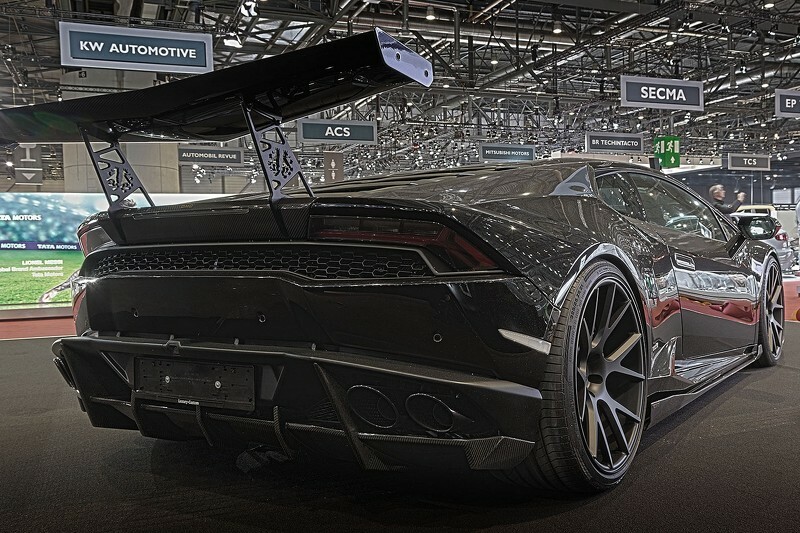 The car also features carbon fiber side skirts, a carbon fiber rear diffuser, and a Countach-inspired rear wing. The ferocious impression amplified by the use of 20 inches sized of Y-spoke Vossen rims on the front wheels and 21 inches at rear, painted in black and wrapped in 255/30ZR20 and 325/25ZR21 tires. They are backed up by a high-performance braking system which features black brake calipers.